Working hours Mon-Sat : 10.00 am.- 10.30 pm. The four-hand massage is a powerful treatment which will both unlock and heal built-up tension throughout your body. This massage will soothe your body and clear your mind. Unlike traditional messages, the four-hand massage will cause your body to react differently as pressure is put on different parts of the body. Having an extra pair of hands massaging your body will allow you to completely relax your mind and body. Using heated stones, the Sacred Hot Stone Massage relieves pain, tension, and stress. The hot stones relax the nerves and muscles while improving blood circulation. This makes for a powerful way to restore your inner peace and well-being as the massage neutralizes tension and dissolves energy blocks. This unique massage combines the most renowned massage therapies: Swedish, Thai, Aromatherapy, and Sports. East Meets West massage is a must for massage connoisseurs. Our trained and skillful massage therapist ensures a high quality experience to remember. With special techniques and attention, our massage therapist can help mothers-to-be and new moms to relax. The massage focuses on the lower back, hips, and legs to reduce the discomforts of pregnancy and improve circulation. This facial massage uses the shiatsu technique to help tone muscles, firm up skin, and improve circulation. 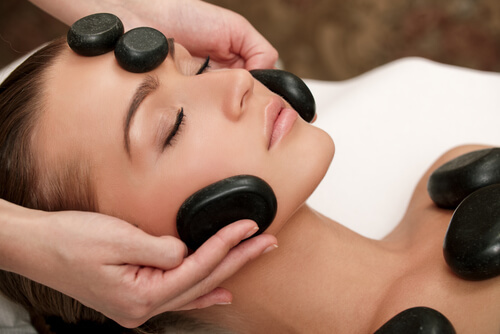 Cold stones are placed onto the face to help relieve sinus pressure. This treatment will make you feel rejuvenated. 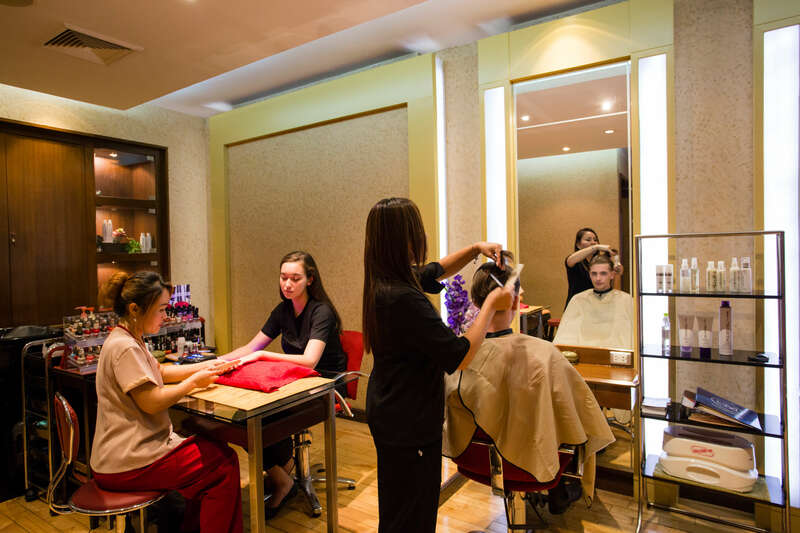 Our hair stylists are highly talented and professionally trained. Their skills can recreate both classic looks as well as create innovative hairstyles for your daily routine or special occasion. 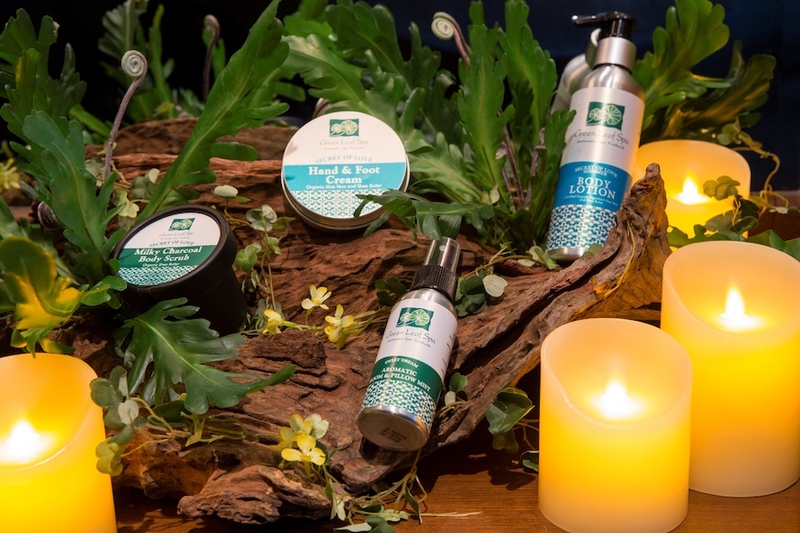 Over the years, we have developed our own unique and superior products made from high quality ingredients. These are used in all our treatments and are also available for sale.